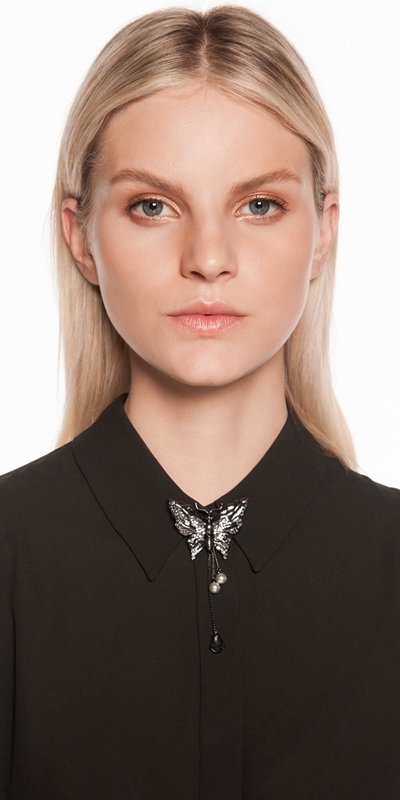 This jewelled butterfly brooch features a blend of clear and black stones. 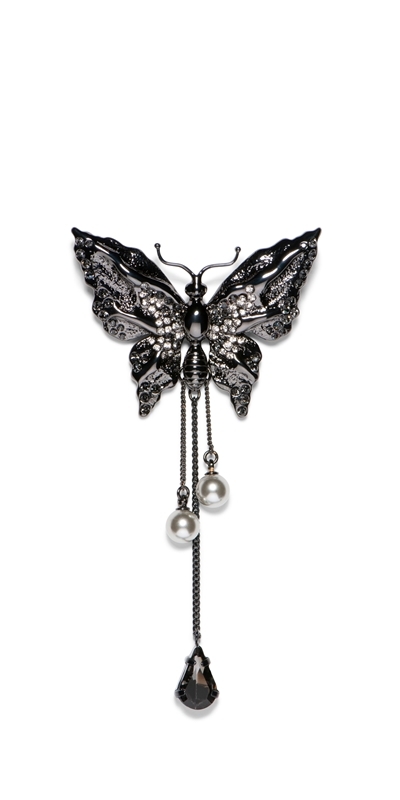 Fine chain drapes from the body finished with a black jewel and grey pearls. Fastened with a pin at the centre back. Designed exclusively for Cue by Peter Lang. The above measurements are in centimetres. Hardware: Polished Gunmetal with glass pearl and glass stone. Clean gently with a soft cloth. Avoid the use of detergents, ammonia, alcohol or jewellery cleaners. Avoid contact with perfume, hairspray and make-up. Store pieces in the packaging provided in a dry place.